I had been so enthralled by this set of outfit from my current favourite online shop from Singapore, Love Bonito. It's something radically different from my usual way of dressing. I extremely love the details on the Paxton top, especially the lace part which is intricately crafted. I personally think this gorgeous piece can be matched with any kind of skirts, shorts or jeans for different kind of looks! Now let us take a look at the skirt which has an extraordinary design: The edgy zip detail makes it so hard to resist! Anyway, did you guys notice there's something different with my hairstyle? 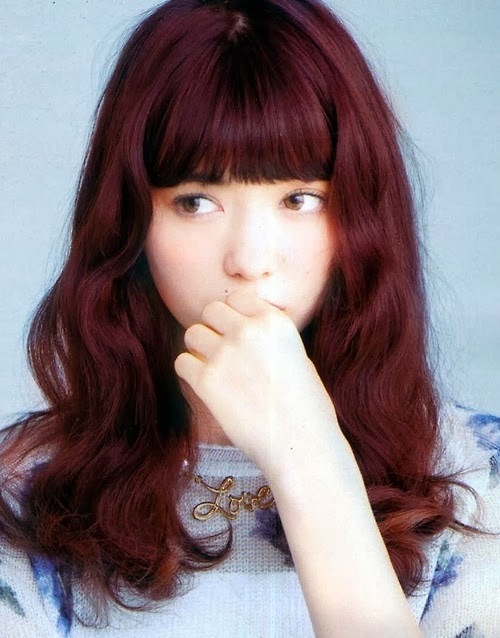 It looks more voluminous with the bohemian waves and this hairstyle is inspired by one of my favourite ViVi models, Arisa Yagi. My hairstyle would definitely not be completed without the three-barrel-waver I got from Supermodel2u.com! I will share more about this curling iron next week along with a hair tutorial!! Stay tuned! Indeed different from your usual style. I like the skirt! Is that from Love Bonito as well?